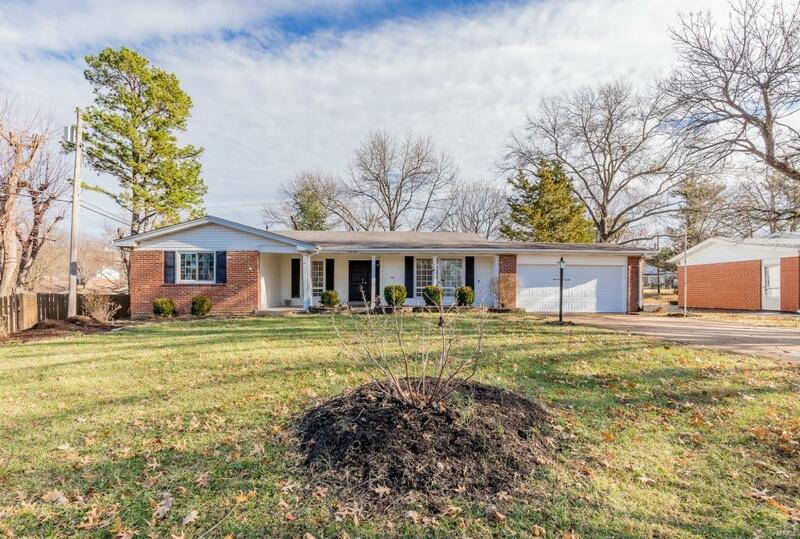 Gorgeous ranch on a .37 acre lot w/spacious floorplan featuring 4 Bd, 2 Bth, & 2200+ sq ft w/finished LL. Stone tile floors at Entry Foyer; Dining & Living Rm find hardwood floors & crown molding. Cozy up in the Family Rm w/FP! Sunroom allows light to pour in and adds to the airy feel of the home. Kitchen features custom cabinetry, vinyl flooring & door to the patio leading to the amazing backyard. Master Suite features dual closets and an updated Bathroom. This home also features 3 addâl Bds & updated hall Bth. LL finds a Music Rm, a huge Rec Rm, newer carpeting (2013), laundry area & ample storage space. The home is painted warm, neutral colors throughout, and many of the rooms were freshly painted in 2018. Flat backyard featuring a patio w/gas hookup for barbeque pit! Location could not be better â near shops, restaurants, and schools; and easy access to major highways!